Ukraine is a country “with a future” but it’s missing just one thing, Russian President Vladimir Putin told theGerman TV news station ARD. “It lacks, it seems to me, the understanding that to be successful, stable, prosperous, it’s necessary that all people who live in that territory, regardless of which language they speak — whether Hungarian, Russian, Ukrainian, or even Polish — have a feeling that the territory is their Motherland,” Putin said. 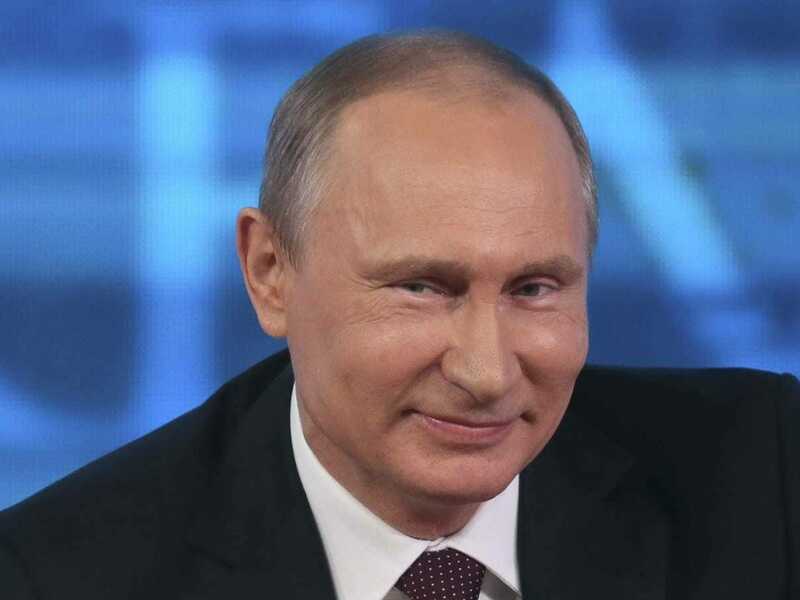 “For this reason, I do not understand the resistance of Ukrainian political authorities to even listen to the possibility of federalization,” Putin added. Russia has been pushing for the federalization of Ukraine for some time now. Under this strategy, “each region [in Ukraine] would have control of its economy, taxes, culture, language, education and ‘external economic and cultural connections with neighbouring countries or regions,'” Russia’s foreign minister, Sergei Lavrov, said in March. Essentially, this would give the southern and eastern parts of Ukraine which have predominantly Russian populations (aka the conflict-ridden areas) greater autonomy. “If this is a civilized nation, where are the authorities looking? At least [they] should force them to remove the uniforms, and the nationalists to take off this insignia,” he said. Putin also stated that it’s important to not look at problems from only one side. He specifically referenced the conflict in Ukraine. “Right now in east Ukraine there is fighting occurring. The central authorities of Ukraine sent an army there, using even ballistic rockets. Is anyone talking about this? Not a word. What does this mean? What does this say about [the situation]? This suggests that you want the central authorities of Ukraine to destroy everyone there, all of their political opponents? Do you want this? We don’t want this. And we won’t let this happen,” Putin said. You can watch the whole interview in German here or in the original Russian here.